VERLEGT VOM ASTRA KULTURHAUS INS LIDO! TICKETS BEHALTEN IHRE GÜLTIGKEIT! “We are all prisoners of our own creations” states Kamelot’s founder Thomas Youngblood. Referring to today’s technology, AI, and the future of whats to come for the human race. Kamelot’s illustrious career has been an anomaly in a sea of here today gone tomorrow acts. Replying on incredible strong songwriting, incrediblevisuals and live performances that has set the bar for many bands in the music scene today. 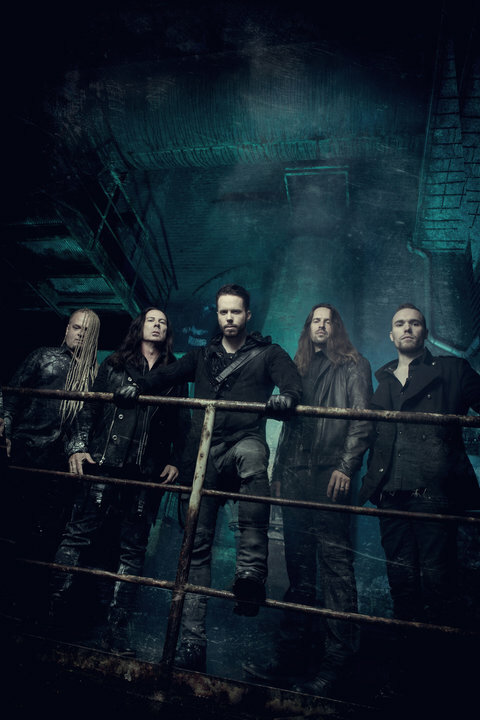 12 Months of long days and nights in Germany, Florida and Sweden have finally paid off on an album the band says was geared toward a modern sound that mixing…..Kamelot have long been among the most prestigious and innovative acts in the history of the rock and metal genre. Their blend of melodic metal, progressive influences and doom/gothic metal references has ensured that albums such as The Fourth Legacy (1999), Karma (2001) and The BlackHalo (2005) turned into absolute masterpieces. Their 2015 release Haven not only established a new generation of fans for the band, but also took the group to more countries and cities than ever. Thanks to lots of sold-out shows, most successful tour of their career to date. “The Shadow Theory album is a psychological journey through the complexity of the Human Mind. We are subjected to stimuli constantly through media, technology, social experiments and AI. Can we still be social creatures in the near future? The Shadow Theory is an album that is mixing many worlds, giving the listener an Escape within our own realities. This album was written and recorded over the entire year and we are really proud of the song elements and diversity on The Shadow Theory” adds guitarist Thomas Youngblood. “Quote here…….…” states vocalist Tommy Karevik. "I think our future is more exciting than ever, and more frightening than ever. I hear this ambiguity in many songs on this album. Also, orchestrating the album, I mixed traditional orchestra with hybrid and synth sounds more than on any album before to reflect this." Kamelot's Oliver Palotai tells us. Following the release of The Shadow Theory, Kamelot will embarque on a massive World Tour, starting with North America in April/May 2018 followed by European shows in the Summer 2018and with The Shadow Theory European Tour in September/October 2018 the band will return to Europe for their biggest headliner tour to date.